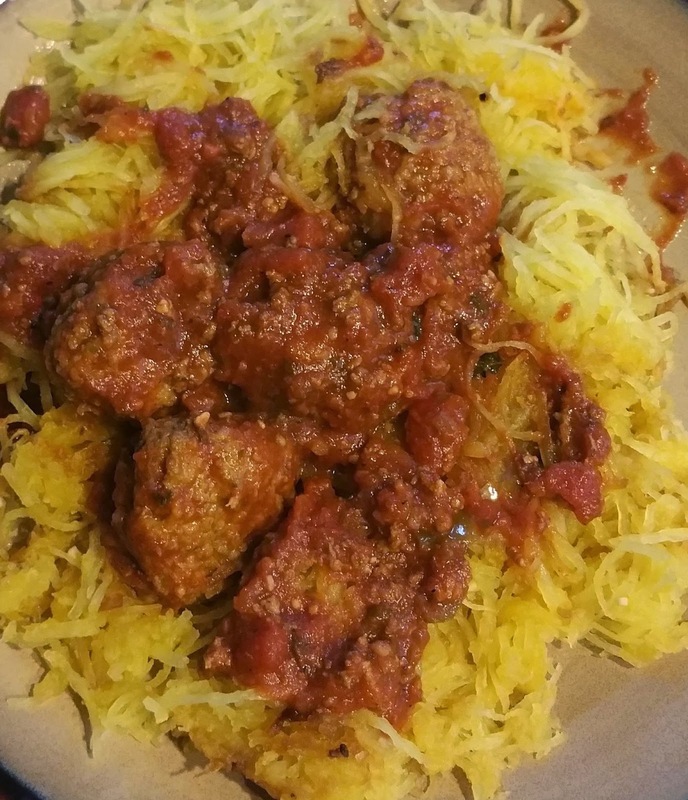 Fit Fluential Mom: Low Carb Spaghetti & Meatballs....YES There IS Such a Thing! Low Carb Spaghetti & Meatballs....YES There IS Such a Thing! 1. 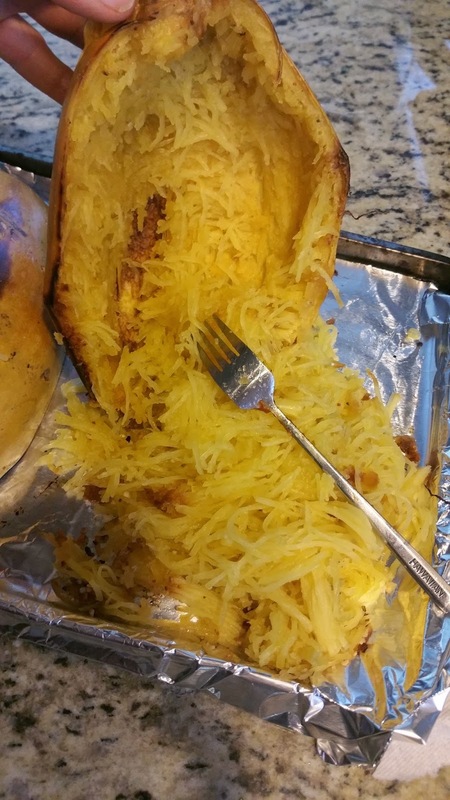 Cut a medium to large spaghetti squash in half, scoop out seeds. Cutting it is honestly the hardest part! 2. 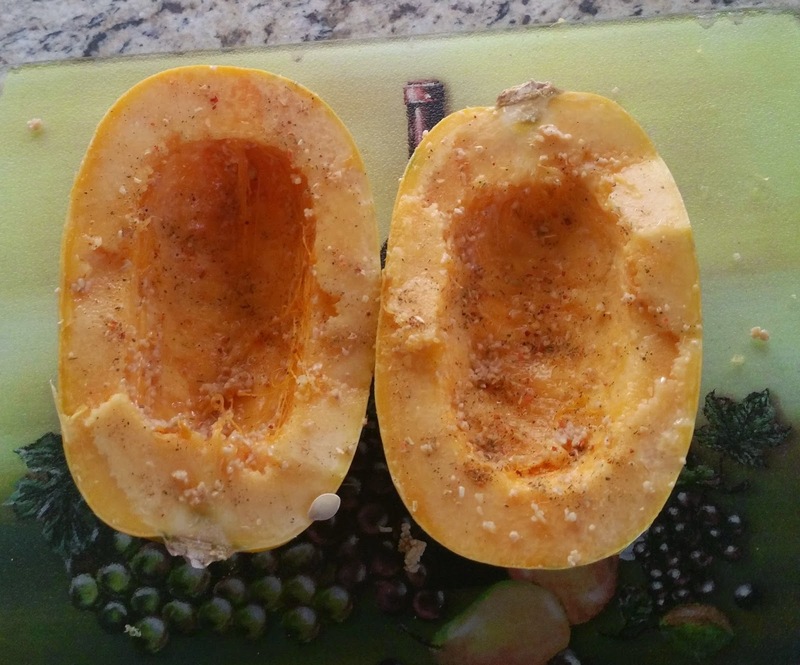 Very lightly coat the inside with olive oil. 3. Sprinkle some of your favorite no salt italian seasoning on top. 4. Place it face down (skin side up) on a cookie sheet and bake at 400 degrees skin side up for about 45 minutes (60 minutes if it's a large one). 5. 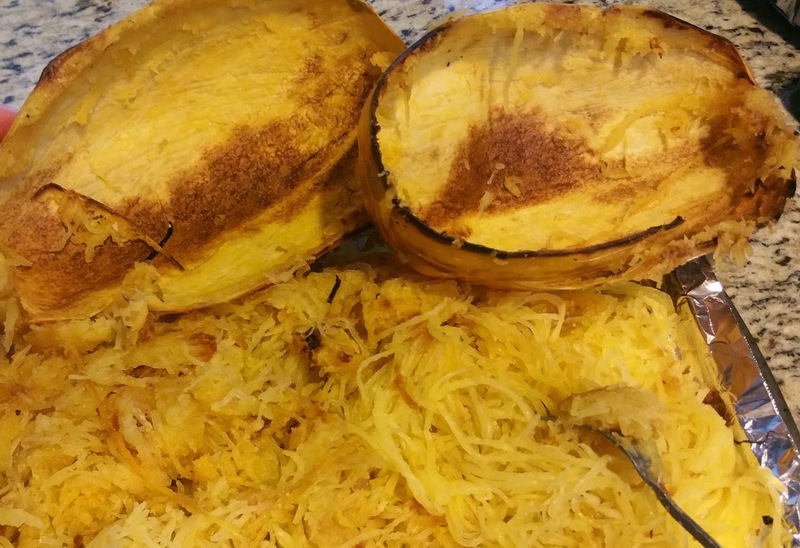 Use a fork to shred "spaghetti" out of the skin, then blend it together to spread the olive oil and seasoning. 6. Eat it alone or add marinara and meatballs to it! Buy frozen turkey or beef meatballs and heat them up. This is easier if you're a working parent that gets home late, has to take the kids to and from activities, etc. 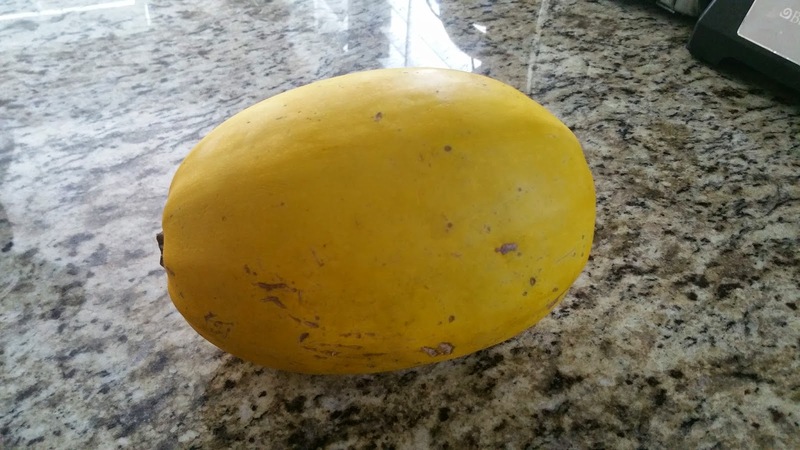 There are many healthy versions out there. My favorites are from Costco. 1. Blend the ground turkey with breadcrumbs, seasoning and egg. 2. Form into balls and either bake them or cook them in a sauce pan until golden brown and thoroughly cooked. I always have sauce pre-made that I freeze and defrost as needed. You can either buy your favorite sauce in a jar (which is totally fine if you're in a pinch) or make your own. There are plenty of healthy varieties without added sugars. I love pretty much every sauce that Trader Joe's sells but sometimes I buy others as well. What I like to do is personalize my marinara sauce. I add browned garlic, onions, diced tomatoes, seasoning, browned ground turkey and sometimes diced bell peppers too. It's delicious and gives it a really good taste. When we have dinner, we always like to have some greens too! 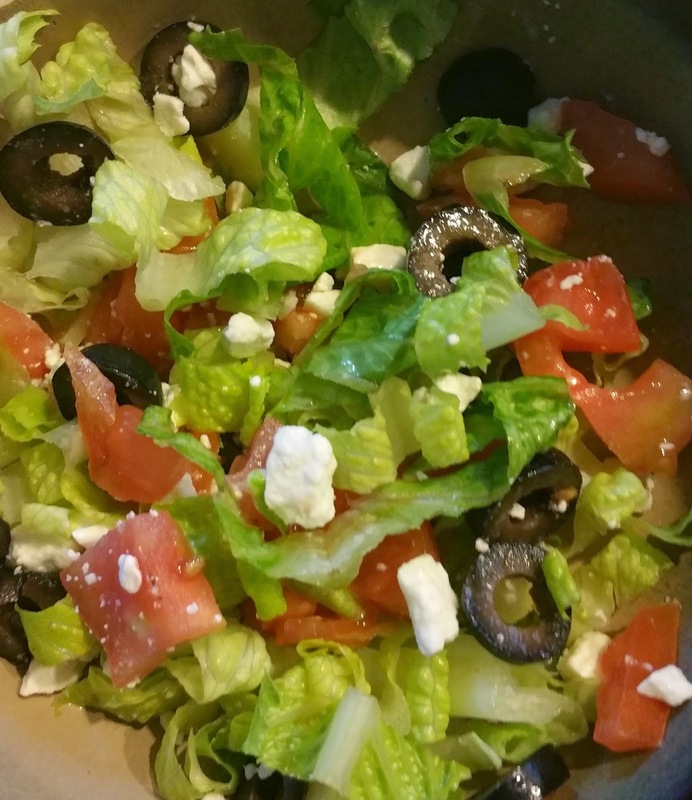 I usually just make a basic, easy Greek salad to go with it out of romaine, sliced black olives, diced tomatoes & feta cheese. I add a little olive oil, balsamic and seasoning and that's it. Super easy too!